So this is the first post to this blog in a while ... I wonder why ! 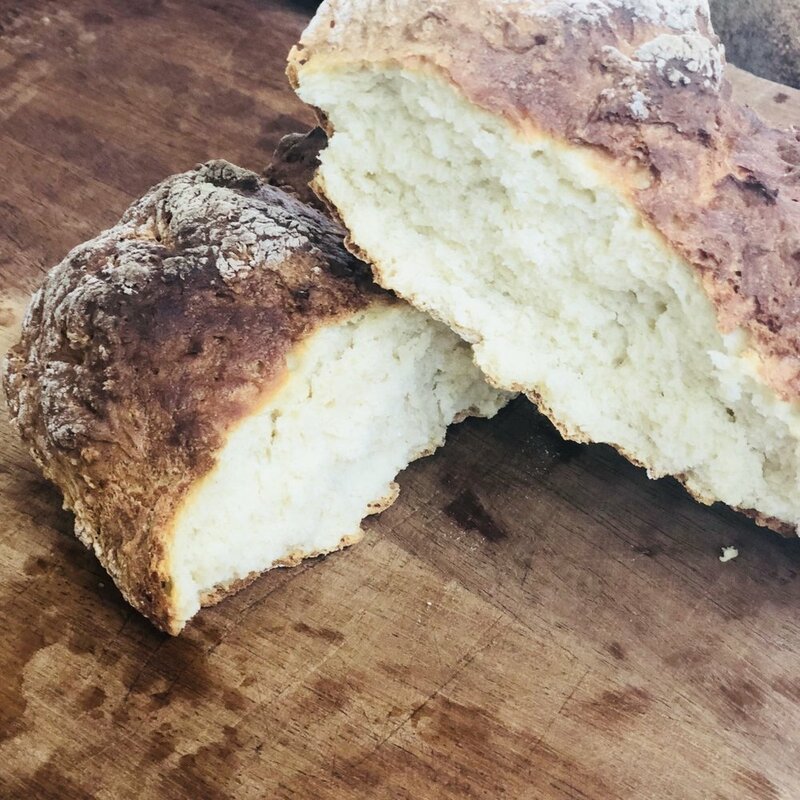 A number of people have been asking me to post something from Ballymaloe ... and I decided on something very simple and very good ... White Soda Bread ... if this bread is done right (and that's not that difficult) it is quick and so tasty ... even the next day toasted it is excellent! 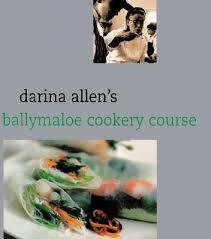 This is a recipe we use at the school ... but I first came across it in the actual Ballymaloe Cookery School cookbook years ago ... for anyone enjoying my 12 week course blog ... this book contains the majority (if not all) of recipes that we are using on a daily basis ... there is no secret ingredients that are left out or something they are not telling you ... there are copies of this book in all the kitchens here at Ballymaloe, so if we have time during your mornings work we can knock up one of the recipes from the book! When it all comes together, turn it out onto a well floured worked surface. Tidy the dough up and flip over gently. Cut a cross on it to ... "let the fairies out"
Then turn down the oven to 200oC for 30 minutes or until cooked. 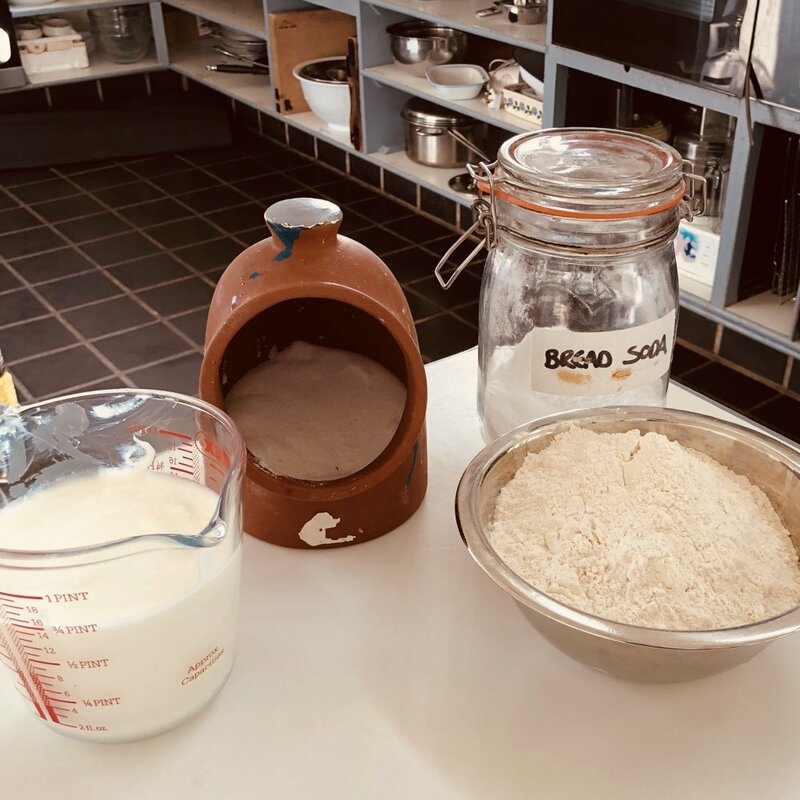 Make a white soda bread dough with or without herbs. Flatten into a 1 inch (2 1/2 cm) square. Dot the top with whole olives. Brush generously with olive oil, sprinkle with sea salt, cut into square scones and bake as above. Add 75g raisins and 2 tablespoons chopped rosemary to the basic recipe. Add 1-2 teaspoons of curry powder and 75g sultanas to the basic recipe. Add 2 tablespoons of caraway seeds to the dry ingredients in the basic recipe.